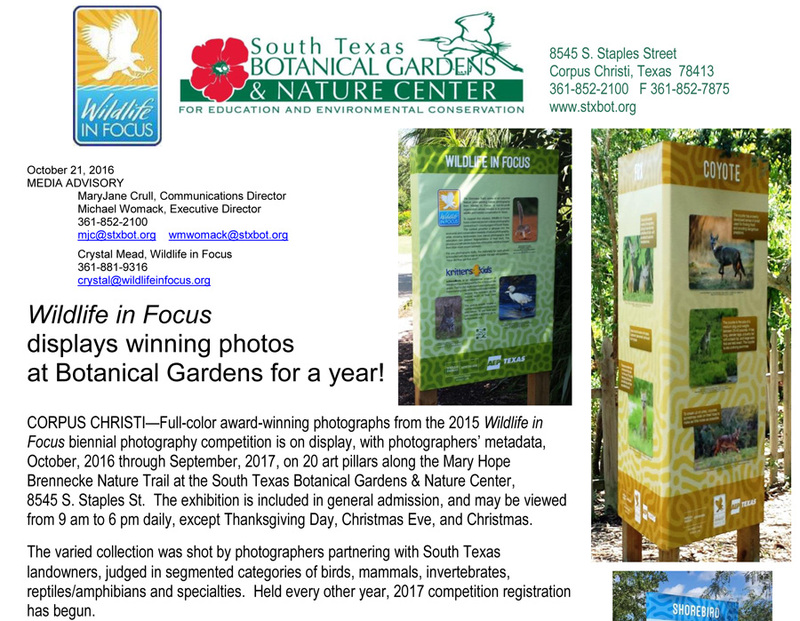 CORPUS CHRISTI—Full-color award-winning photographs from the 2015 Wildlife in Focus biennial photography competition is on display, with photographers’ metadata, October, 2016 through September, 2017, on 20 art pillars along the Mary Hope Brennecke Nature Trail at the South Texas Botanical Gardens & Nature Center, 8545 S. Staples St. The exhibition is included in general admission, and may be viewed from 9 am to 6 pm daily, except Thanksgiving Day, Christmas Eve, and Christmas. 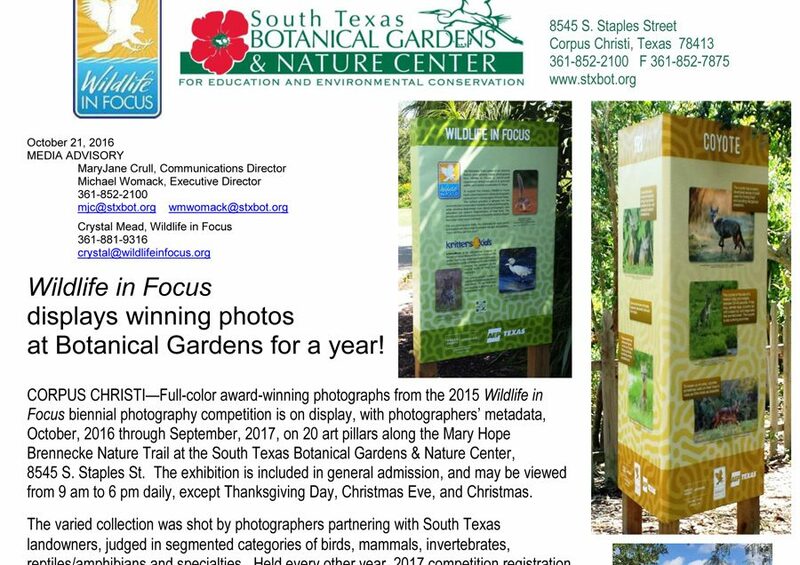 The varied collection was shot by photographers partnering with South Texas landowners, judged in segmented categories of birds, mammals, invertebrates, reptiles/amphibians and specialties. Held every other year, 2017 competition registration has begun.